The Feis will run in accordance with the Rules of An Coimisiún Le Rincí Gaelacha. Entries will only be accepted from persons currently registered with An Coimisiún but the Open status has been requested. The lodgment of an entry will be taken to mean that teachers and pupils understand these rules and undertake to abide by them. Objections must be lodged in writing within one hour of the announcement of the result of a competition accompanied by a fee of 40 Euro, which will be refunded if the objection is upheld. Age will be taken as on 1st January 2019 (whatever age you turn this year, in 2019, you dance under that age all year long, e.g. if a dancer’s date of birth is 29 May 2009, he/she dances under 10 in the year 2019). Evidence of age may be requested, therefore dancers should have a valid ID with them in the event of a query as to their age. The Adjudicators’ decisions are final. Beginners Grade competitions are confined to dancers who have never won 1st or 2nd prize (also 3rd prize, please refer to rule 9) in any competition for that particular dance. In Beginners Grade competitions only basic steps may be performed. Primary Grade competitions are confined to dancers who have never won 1st prize (or 2nd prize, please refer to rule 10) for that particular dance other than in Beginners Grade. If a Beginner competition has 6 or more dancers, the first two places advance to the next grade, regardless of ties. If a Beginner competition has 11 dancers or more, then the first 3 places advance to the next grade regardless of ties. (RCCEA – RTME ruling Sept. 2007). If a Primary competition has 6 or more dancers, the first place advances to the next grade. If a Primary competition has 11 or more, the first and second places advance to the next grade, regardless of ties (RCCEA – RTME ruling June 2011). Where there are five dancers or less for Beginners, Primary and Intermediate competitions, the results will not affect their grading. Intermediate Grade competitions are open to all dancers who have not previously won first prize for that particular dance in Intermediate or Open Grades under the same or higher age limits. If a dancer in Mainland Europe wins in Intermediate, they must advance into Open for the rest of the calendar year. If they do not win in Open, they may return to Intermediate at the start of the next calendar year. 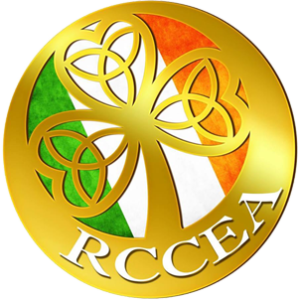 (RCCEA – RTME ruling Sept. 2007). For all Beginner, Primary and Intermediate competitions (excluding trophy competitions) the 32 bar method will be applied. All Open Championship dancers will be required to dance 48 bars of music in the reel and jig and 40 bars in the slip-jig and hornpipe. Two and three hands are danced to 40 bars of music. Ceíli and figure dances are subject to the rules applied at Oireachtas. Adult Championships are open to Intermediate/Open level dancers who have never won a 1st, 2nd or 3rd place in Open Championship level and to dancers not participating in a full Open Championship at the same feis. Dancers will be required to dance 32 bars of music in the reel (gents, ladies) or slip-jig (ladies) in the light round, heavy jig or hornpipe in the heavy round, and a Traditional Set. Please note that these championships have been created for dancers who started Irish Dancing as ADULTS. Beginner, Primary and Intermediate Trophy Competitions, if included in the Timetable, will be a choice of heavy dance and light dance. Dancers will dance 16 bars down the line in their chosen dance/s. Music will be played at the recognized An Coimisiún speeds of Mainland Europe. 17. Team dances (four hands and upward) must be performed in accordance with the Coimisiún handbook “Ar Rinci Ceili”. 18. Special Trophies (Traditional Sets, Treble Reel Competitions, Primary, Open and Adult Championship Trophies) may be retained by the winners. Open Championship trophies may also be retained by the winners unless the timetable marks the competition as a Perpetual Trophy Competition. Please note that the Superheroes Treble Reel competitions are FREE STYLE – therefore use of hands and non traditional dance wear are permitted. 19. Within the limits specified in the Rules of An Coimisiún, the Organisers may at their discretion cancel or combine competitions with insufficient entries. 20. Order and quiet must be kept in the hall, particularly while competitors are dancing. 21. Premier Championships Comp.101, 102, 103, 104, dancers will be required to dance 48 bars of music for the Reel & Heavy Jig, and 40 for Slip Jig & Hornpipe & Modern Set. 22. Premier Championships Comp.100, dancers will be required to dance 1st round Reel or Slip Jig, 2nd round Light Jig or Heavy Jig, and 3rd round Single Jig o dancer Trad. Set. 23. Traditional Set Dance competitions are a choice out of 7 traditional dances: St. Patrick’s Day, Blackbird, Job of Journeywork, Garden of Daisies, King of the Fairies, Jockey to the Fair and Three Sea Captains. If you win first place in any traditional set dance competition, you move on the next level in all 7 traditionals. 24. Provided that dancers are not disturbed by flashlights or the like, photography or video recording by persons other than official feis photographers is allowed during Beginners and Primary competitions and during all award ceremonies. 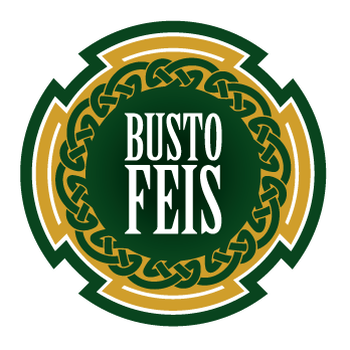 During Intermediate and Open competitions, this is reserved to any official feis photographer on site. 25. Competitors must be in costume and ready to dance 30 minutes before their competitions are scheduled. 26. The Feis organisers cannot accept any liability for injury or loss or damage to property while on the remises. 27. The dress code in accordance with An Coimisiún rules will be strictly observed. For the sake of modesty and in the interest of safety to young people, dancers will not be permitted to walk around the Feis scantily dressed. The Costume Rules of An Coimisiún, as amended, also apply in Mainland Europe; it can be found in the “Download” section on www.clrg.ie for reference. Female adult dancers participating in competitions entitled ‘adult competition’ and/or ‘adult grade competition’ (both solo and team) are required to wear tights of a denier not less than 70 (CLRG Ruling March 2015). 28. Only Feis officials may approach the adjudicators during competition sessions. 29. All Beginners and Primary dancers of all age groups may only wear a class costume, simple dancewear or appropriate attire (skirt and top/blouse, simple dress for girls and ladies, trousers and t-shirt/shirt for boys and gents. Make-up is not permitted for any dancer in the first two grades up to and including the Under 12 age group worldwide. 30. An Coimisiun has ruled that from 1st January each year, that no block, en pointe, stationary or moving, be allowed to be performed for all ages up to and including the under 12 age group worldwide. The Under 12 Age Group will be allowed to toe walk from September 1st. 31. By entering in competitions, dancers (or their legal representatives, in case of minors) consent to their names being stated in the feis results and in the public Internet archives of Feisbase or any other feis entry/results system as may replace it. 32. No refunds will be made. 33. All Clrg rules are apply. The dance is Open to all ages and to all dancers who DO NOT participate in Solo competitions. Dancers and children under 12: free. Registration can be done by using the registration system Feisbase (an internet based application to register dancers online). To be able to register your dancers you will first have to send an e-mail to mhens@mac.com with your name, address and name of dance school, you will then receive an e-mail with further details on how to register your dancers. Entries to be received no later than Friday 1st February 2019. Changes and additions to entries can be made on the day. 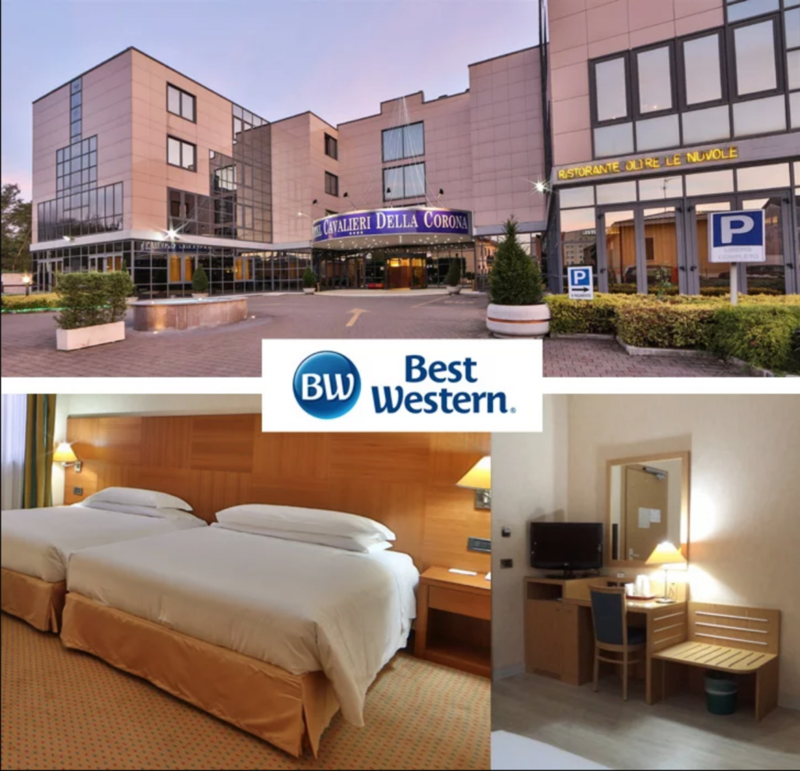 For this edition of Busto Feis we have an agreement with Best Western Hotel. You can stay a few minutes away from Pala Chierichetti in Busto Arsizio: during the days of the event, you’ll have special prices. The prices include the 10% VAT tax and the hotel tax. A buffet breakfast is offered by the hotel from 05:30a.m. to 10:00 a.m. Light breakfast service from 04:00 a.m. to 05:00a.m. Free LAN internet connection in every room. Free Wi-fi in every room and all the common areas. Child policy: up to 4 years old, free. Shuttle service from the Hotel to the Feis venue and back (not included) but available by reservation. Free external parking for motorcycles or cars; covered parking € 7,00 per day. Free shuttle service from and to Milano Malpensa airport from 04:30a.m. to 00:45p.m. (8 seats). Private booking by request (based on availability). The restaurant “Oltre le Nuvole” proposes a lunch with two main courses, dessert and water. € 19,00 per person for groups of at least 15 people. For dinner (only with booking) you can choose two different main courses, ½ litre of water and coffee. € 20,00 for individuals and groups. For smaller groups (up to 14 people) there is a snack restaurant. Free dinner and lunch not available.